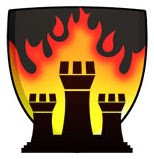 The Chicago Blaze, one of two new expansion teams in the United States Chess League (USCL), now has a Web site and a blog. (Yours truly will be one of the regular posters.) The team is getting ready for its first season, which begins on August 25 with a match against the Arizona Scorpions, the league’s other new team. This week the Blaze issued an official press release with a preview of the what’s to come. The schedule is now posted online. Mark your calendars and plan to follow all the action throughout September, October, and into the November playoffs. Meanwhile, Elizabeth Vicary is conducting a poll on her blog to see who people think will win the USCL championship this year. You can vote for the team you think most likely to win.